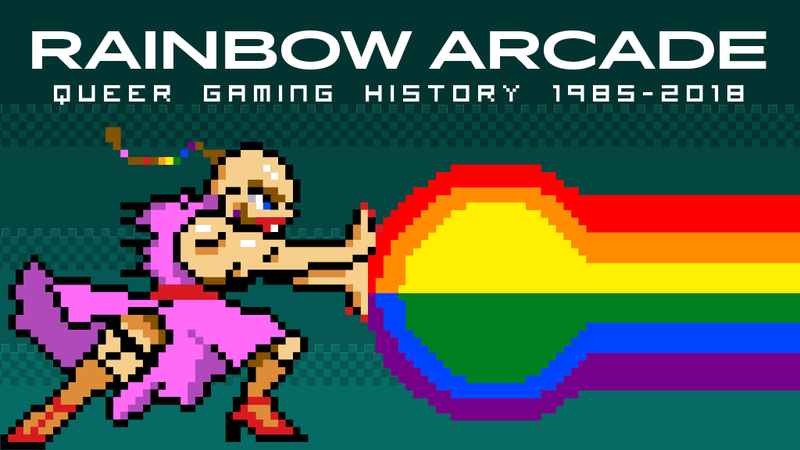 For the first time in the world, the queer history of video games will be explored in a major exhibition: RAINBOW ARCADE at Schwules Museum features a wide variety of exhibits spanning over 30 years of media history, including 12 playable titles, concept drawings, modifications written by fans themselves and documentations of online communities. RAINBOW ARCADE will be taking stock of contemporary pop cultural questions of representation, stereotypical and discriminatory narratives in entertainment media, and our cultural memory. For the first time, research by the LGBTQ Game Archive will be presented in a museum. The exhibition is accompanied by an extensive supporting programme with international developers, artists and researchers. A companion book has been successfully crowdfunded and will be published in April 2019. RAINBOW ARCADE is curated by an internationally well networked team of curators, consisting of Sarah Rudolph (herzteile.org), Jan Schnorrenberg (Schwules Museum) and Dr. Adrienne Shaw (Temple University, LGBTQ Game Archive). RAINBOW ARCADE is funded by the Senatsverwaltung für Kultur und Europa of Berlin and under the patronage of Dr. Klaus Lederer Senator for Culture and Europe of Berlin. LGBTQ Game Archive, Temple University and Computerspielemuseum are scientific advisors and provide some of the exhibits, research and technical know-how. Feminist Frequency has produced 3 videos on Queer Tropes in Gaming for the exhibition. The education concept is co-developed with Jugend im Museum e.V.. RAINBOW ARCADE is also an official partner & program component of gamesweekberlin 2019 (8 – 14 April 2019) and A MAZE. ; other project partners are Booster Space, Berlingamescene.com and 908. Presented by Siegessäule, L-MAG, Exberliner and KALTBLUT Magazine.